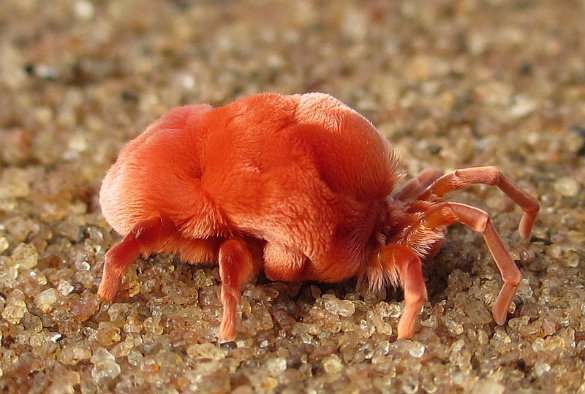 The orange or red coloured mites, both members of the trombidid mite family, were also found to have genes for making carotenoids, the pigments responsible for the distinct coloration of carrots and egg yolks. Sequence analysis of these terpene and carotenoid genes shows that they were incorporated into the mite genomes by ancient horizontal gene transfer from soil bacteria and fungi, respectively. 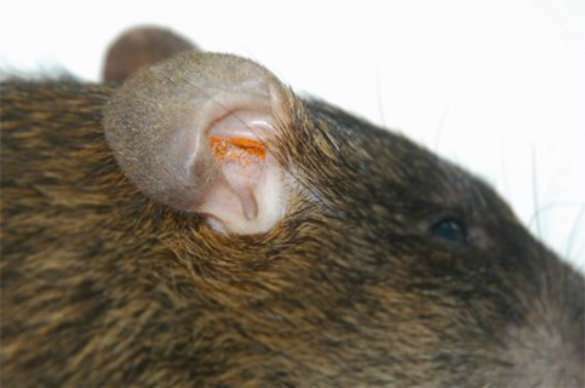 Although this in itself is not an uncommon process, it's very unusual for foreign genes to remain functional in animal genomes. The terpene finding is particularly exciting for the infectious disease researchers as it could lead to new ways of controlling the chigger mite, the bite of which is not only intensely irritating (a condition known as 'scrub itch'), but can transmit the life-threatening bacterial disease scrub typhus. Lead researcher Dr. Benjamin Makepeace, from the University's Institute of Infection and Global Health, said: "Our team was startled by the remarkable finding that trombidid mites have a metabolic capability normally only seen in plants, fungi and bacteria. There is currently no effective vector control for chiggers, but it is hoped that in the future, terpene extracts could be used to attract chiggers into insecticide-laced traps." The study was led by the University's Institute of Infection and Global Health in collaboration with the Centre for Genomic Research, the Liverpool School of Tropical Medicine and Xi'an Jiaotong-Liverpool University (XJTLU). The paper 'Genomes of trombidid mites reveal novel predicted allergens and laterally-transferred genes associated with secondary metabolism' is published in the journal GigaScience.